The benchmarks in this talk may be wrong. Many benchmarks are. 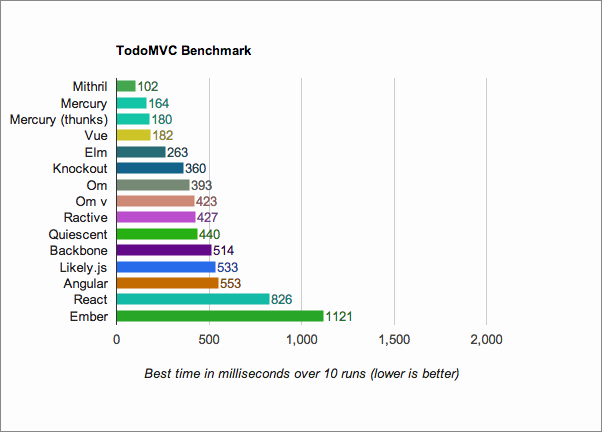 If you care about performance, benchmark for yourself for your own use cases! Codebase super small ~ 1200 lines. |console.log( thing() ) // "Macbook"
|console.log( thing() ) // "iPhone"
m.request has similar syntax to jQuery $.ajax.